Enjoy luxury and maintenance free living in the highly desirable downtown riverfront community in Chattanooga. 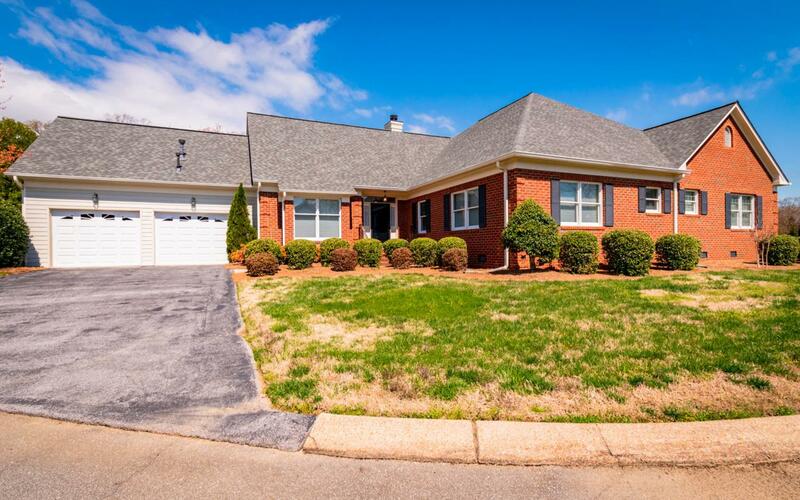 This 3 bedroom, 2 bath condo is situated on a cul-de-sac in the gated Heritage Landing Community which is just minutes to all of the shops and restaurants of the North Shore and Downtown Chattanooga and is also zoned for Normal Park Schools. Step inside to beautiful cherry hardwood floors, high ceilings and neutral paint throughout and a great open floor plan. The great room with gas fireplace is open to the dining area that has custom built-in cabinets. There is an additional 300 SF area with skylights and large windows that bring in plenty of natural light.The kitchen has plenty of cabinets and counter space, island and dining area. The master bedroom is spacious with a large walk-in closet. The spa-like master bath is a true retreat with separate vanities, a large zero entry wet room with shower and jetted tub. There are 2 additional good sized bedrooms and a full bath on the main level. Step upstairs to the large bonus room. The oversized screened-in porch is perfect for relaxing and the back yard is private. The oversized 2 car garage has plenty of storage space. The Heritage Landing neighborhood is located adjacent to the Tennessee River and the Chattanooga Golf and Country Club. The amenities include a clubhouse, tennis court, 2 heated pools, 24-hour gated security with a guard and much more. This home has been meticulously maintained and is ready for new owners. Make your appointment for your private showing today. SPECIAL FINANCING AVAILABLE ON THIS HOME COULD SAVE YOU $6,250 WITH THE ZERO PLUS LOAN, CONTACT AGENT FOR DETAILS.